Cozy cottage with detached garage large enough for boat storage. Cottage has one bedroom but also a sunroom for additional sleeping. Exceptionally large lot with village amenities of water, electric and sewer. 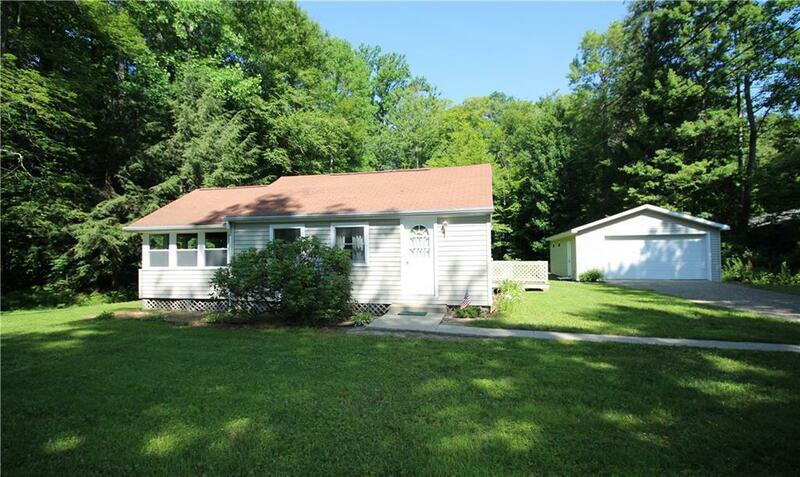 Deeded lake right of way just across the street with dock. This is your chance to own an affordable property with deeded rights being sold turnkey. Just bring your food and clothes and your ready for lake fun. Adjoining and nearby properties have been expanded to have larger year round homes. Don't miss this great opportunity to have your own getaway place! Directions To Property: Rt 430 To Mill St. Right On Sea Lion Drive. Look For Sign.